The first fully-electric bus to be used for a local bus service in Scotland has celebrated 100,000 miles in service. The bus launched in November 2013 by Keith Brown MSP, Minister for Transport and Veterans, operates on the service, which links the ferry ports at Cairnryan to the railway station in Stranraer. The 27 seat Optare Solo battery-powered bus is operated by McLeans of Stranraer, was part-funded through the Scottish Government’s Green Bus Fund and is supported by the Regional Transport Partnership SWestrans. Optare electric buses have zero tailpipe emissions and are proven to reduce well to wheel carbon footprint by over 50% in comparison with equivalent diesels. 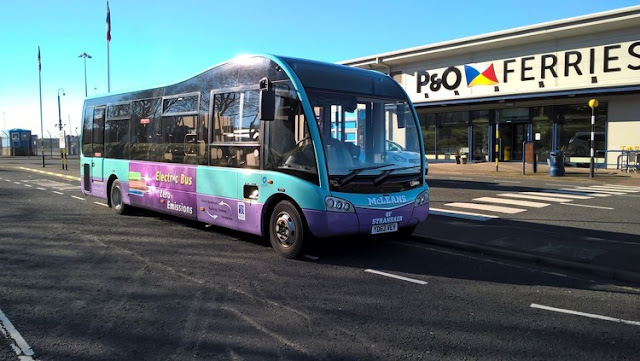 Operating and maintenance costs are also significantly lower than an equivalent diesel engine bus and recent independent testing has proven the Optare electric bus is one of the most efficient currently in service in the UK.